RISING Coalition frontbencher Jamie Briggs has defended Agriculture Minister Barnaby Joyce's use of taxpayer funds to attend rugby matches. Fairfax media reported on Wednesday Mr Joyce had used more than $4500 of his parliamentary entitlements to attend NRL finals and the 2012 State of Origin. 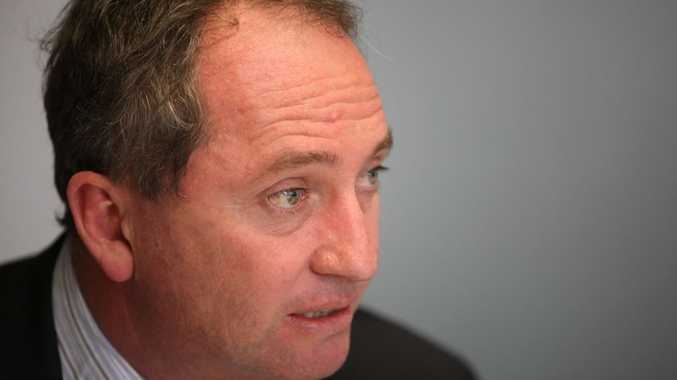 On Sky News on Wednesday, Mr Briggs backed Mr Joyce's statements that the funds were used in an official capacity, with politics being discussed during the matches. While he wouldn't go into detail, he said it was clear the use of the funds was above board, and he expected more from Finance Minister Matthias Cormann in coming weeks. Senator Cormann earlier this week intimated he may be considering changes to the entitlements scheme in the wake of continued revelations, but would not pin down what the changes might be.